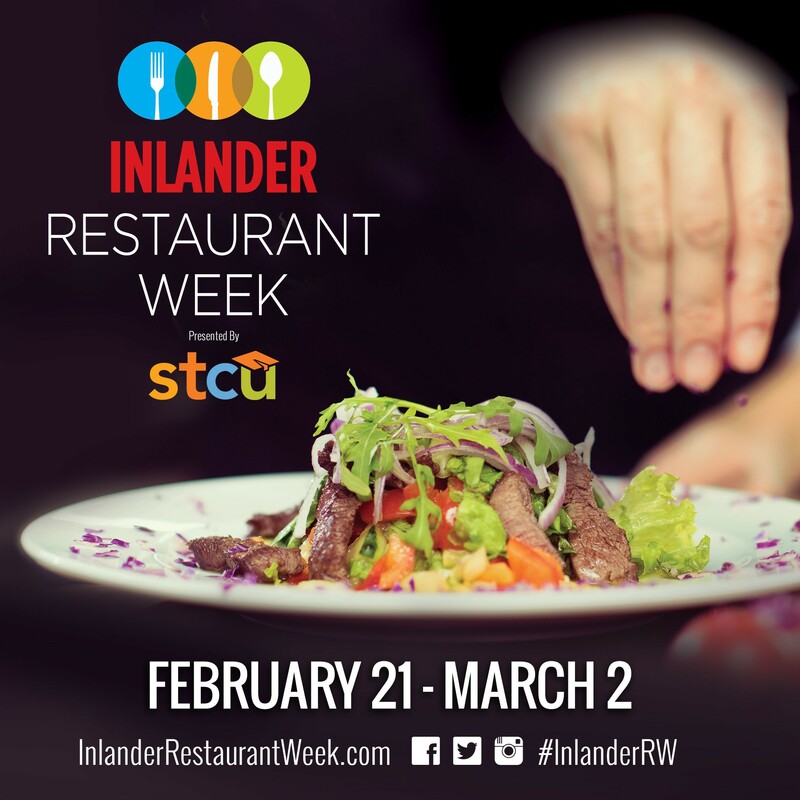 The countdown to the seventh annual Inlander Restaurant Week has officially begun; the deliciousness kicks off 20 days from now, on Thursday, Feb. 21, and lasts through Saturday, March 2. That gives all of us plenty of time to carefully read more than 100 three-course fixed price menus, for $21 or $31 per person, from this year's 108 participating restaurants across the Spokane and Coeur d'Alene area, and to make reservations, which are highly recommended. As of today, all menus are live for your perusing at InlanderRestaurantWeek.com. Starting this Friday, printed copies of the 2019 event guide will also be available at all STCU branches across the region, and at participating restaurants. We'll print the full event guide again in our Feb. 21 issue. In addition to menus, the guide contains helpful suggestions for diners seeking specific experiences — comfort food, gluten-free dishes, vegetarian eats and more — along with some event highlights happening during the 10-day dining extravaganza. We also made sure to spotlight a few of the many stars behind the scenes: the chefs making Restaurant Week a memorable, flavorful and worthwhile experience. Readers can also learn more about how the event helps ensure those who can't afford to dine out can still eat, through a partnership with Second Harvest. While the guide lists restaurants alphabetically, online versions of the menus can be sorted by price, cuisine and area. Now get to it!